Marabou Feather Fans are handmade with soft Marabou Feathers. When fully open, this fan measures 11x20 inches. 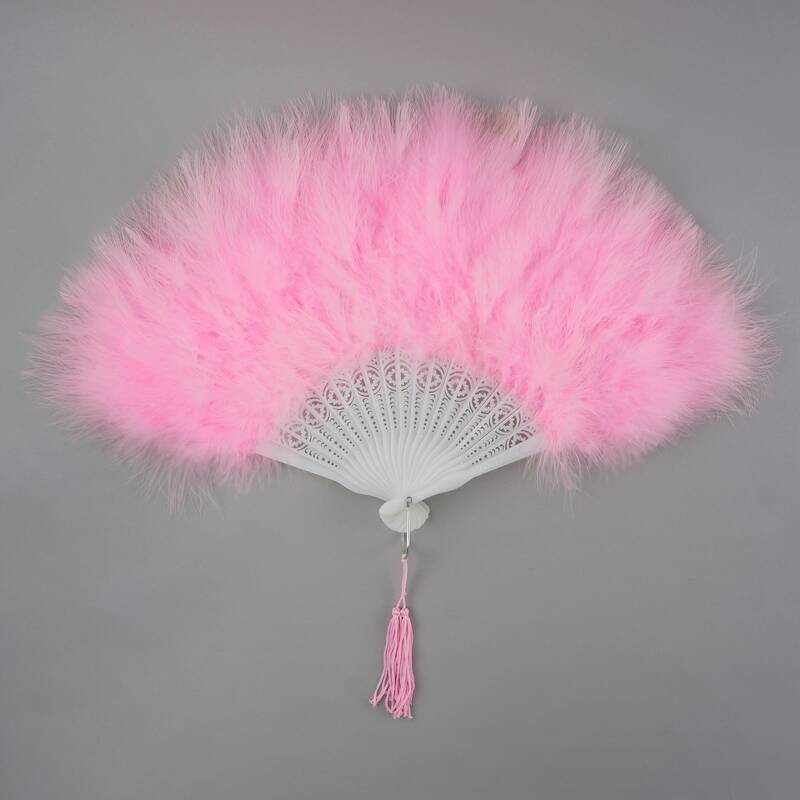 This fan has 21 decorative plastic staves, each connected with a color coordinated tassel tied metal ring. Marabou feathers are applied to the fan staves leaving approx 4" of stave showing at the bottom. This is our best selling feather fan - available in a rainbow of colors. We're sure to have just the right color for you!